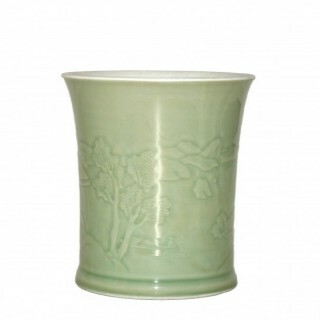 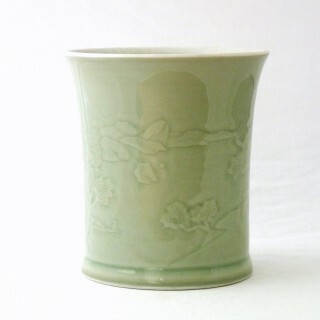 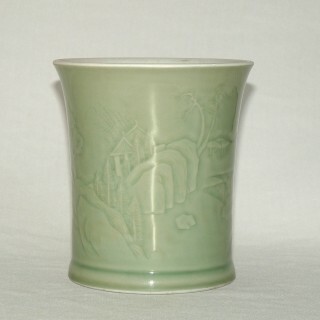 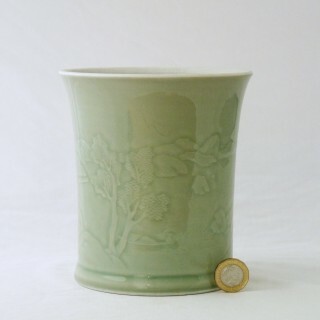 Chinese 18th century – Kangxi / Yongzheng – carved celadon brush pot with a four character Kangxi mark to the base. 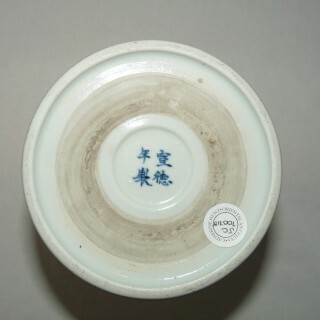 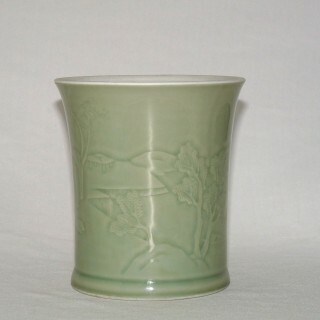 Made at Jingdezhen for the Chinee scholar. 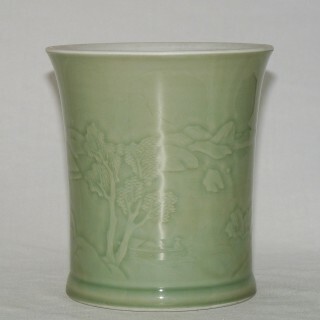 The shape is slightly tapering and flared to the top.